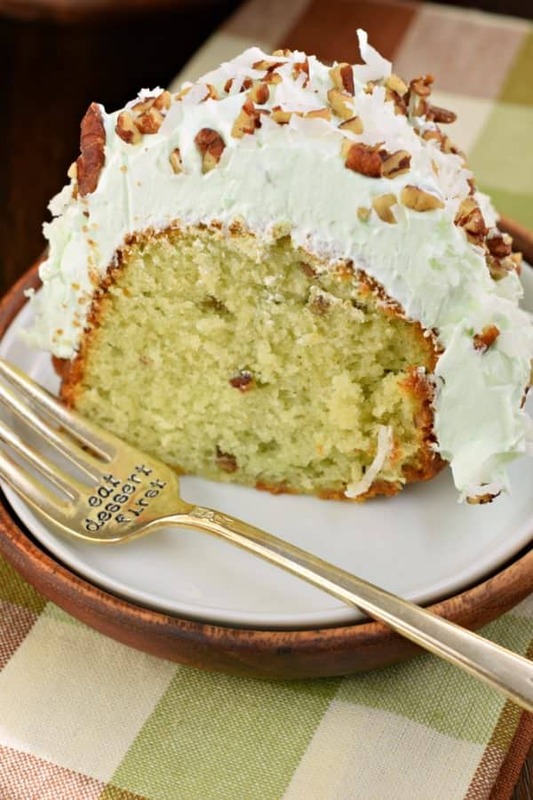 This Watergate Bundt Cake is nutty and moist thanks to pistachio pudding and pecans. Topped with a sweet, light whipped cream topping and coconut, this cake has it ALL! If you’ve never had a Watergate Cake you are truly missing out! I remember the first time I tasted this, many years ago. 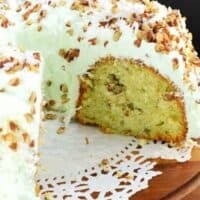 It looked weird, all green and covered in nuts, I seriously thought “this is an old person type of cake.” But the moist cake made with pistachio pudding was incredible. And the light “frosting” made with Cool Whip (you can also use homemade whipped cream) is the perfect finish on this cake! 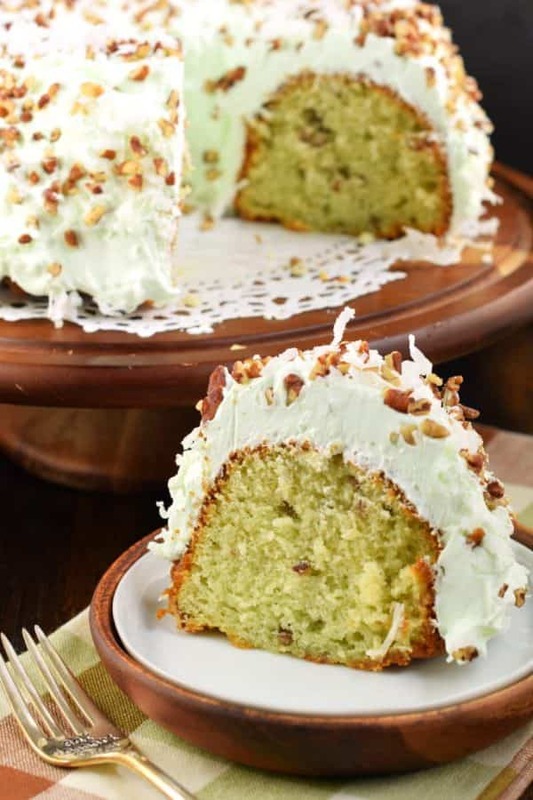 Of course the pecans and coconut just add extra crunch and chew to an already delicious recipe! I’ve used this recipe to make a layer cake, cupcakes, Watergate Sheet cake and now a Watergate Bundt Cake! 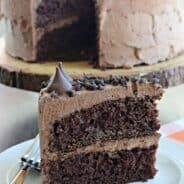 This may be my favorite way to make this cake now! Although, that may be biased of me, because I love bundt cakes more than a layer cake. I don’t know why. It must just be the midwestern girl in me, haha! Some of my favorite bundt cakes include this Cherry 7-UP Pound Cake, with it’s sweet glaze on top! I also love this Lemon Zucchini Bundt Cake! 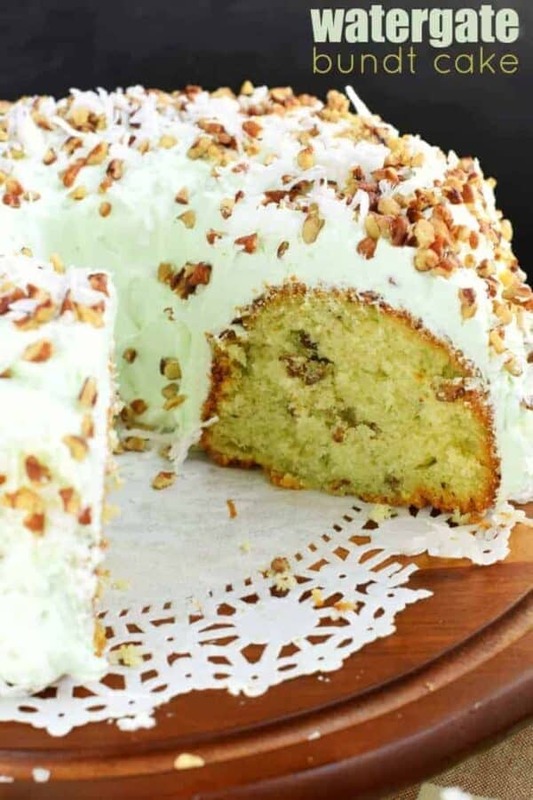 I can’t wait for my garden this year so I can use my zucchini in this cake recipe. Some of my friends have made some seriously delicious looking bundt cakes as well. Including this Salted Caramel Kentucky Butter Cake from my friend Ashley. That caramel butter sauce looks divine! Or how about this Raspberry Amaretto Bundt Cake from Liz? I usually add some type of glaze or frosting, but this naked cake looks perfect! And for all you red velvet lovers out there, Lisa made a stunning Red Velvet Sour Cream Bundt Cake with a thick cream cheese frosting on top! Swoon! 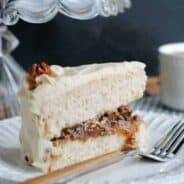 I have never even heard of a watergate cake and while I can see how people might think it’s an “old person’s” cake, I think it sounds amazing!! I love all things pistachio and think it’s such an underrated flavor! Haha, old person cake! I remember seeing this cake when I was little at potlucks and thinking the very same thing so I never took a slice. Now, I would love to eat this cake!!! YUM!!! Hey there college dorm room neighbor! Do you think you could substitute the oil in the cake or maybe cut it down? I’ve made a similar cake but I felt like I could really taste oil. But, I love the pistachio! 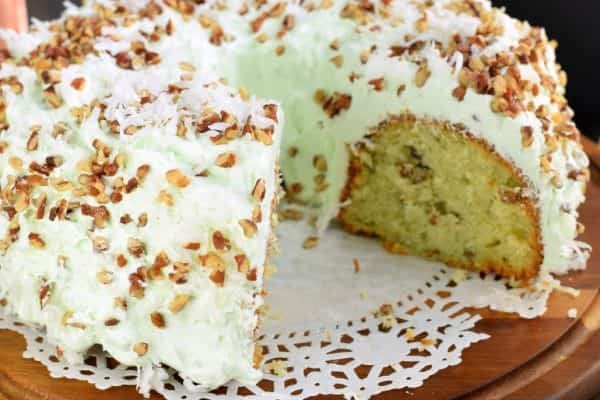 Yes, it’s very much like a pistachio salad….but oh my gosh, this cake is wonderful 🙂 Let me know if you try it! I love pistachio! This looks right up my alley! I’ve never made a bundt cake (who am I?) but there’s always a first! I have a thing for bundt cakes too! I love them! This one is so fun 🙂 Pinning! 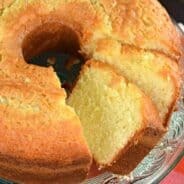 My mother made this cake all the time in the 70s – thanks for posting! I will definitely be making this for her!! please tell me what is an old persons cake??????? I was thinking of adding crushed pineapple that has been drained both the mix and topping. That would replace the coconut and make it taste like the salad mom always made. I’ve had watergate salad before, but this recipe takes it up a notch! Love how creative it is, looks amazing! YUM! This cake was so delicious, it reminded me of one that my grandma used to make!